This is not trick photography. This really is a heart-shaped watermelon. Abby and I found it prominently displayed at that specialty fruit shop in Tokyo Midtown. 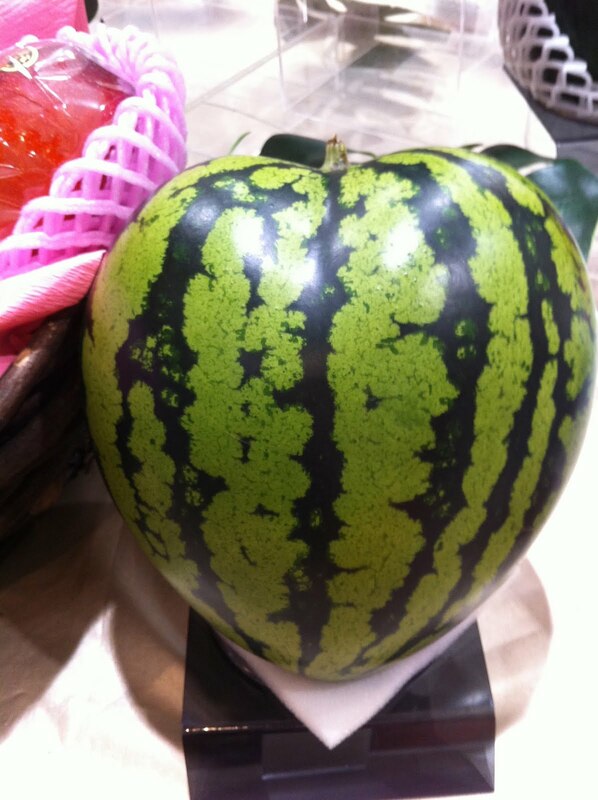 Raised in Chiba Prefecture, this melon comes with an impressive price tag. At a whopping Y31,500 (or about $350 dollars), I doubt it is going anywhere fast. The square melon on sale at the supermarket nearby is pedestrian by comparison.